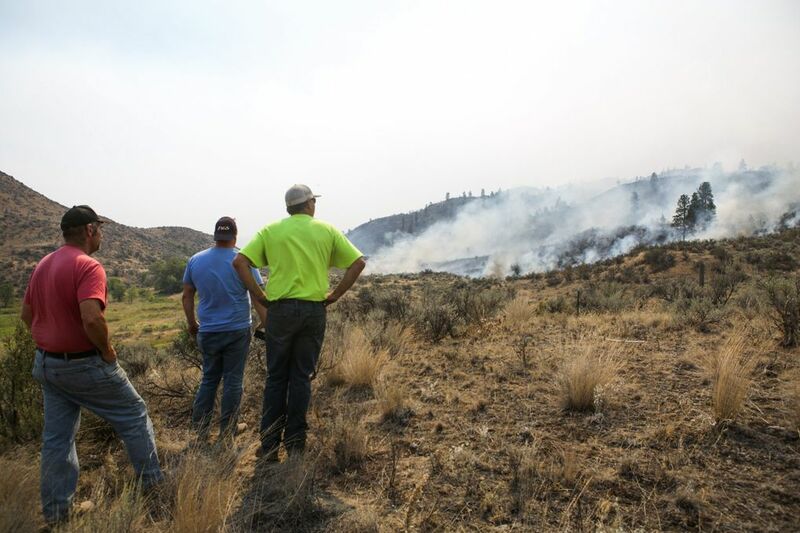 Fire officials say calmer winds Saturday helped them get a handle on wildfires that have burned about a half million acres across Washington. 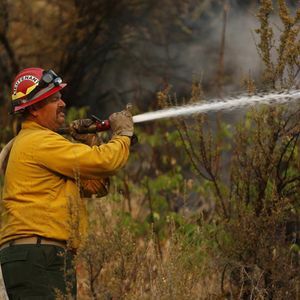 OKANOGAN — Firefighters on Saturday took advantage of calmer winds to help get a handle on mammoth wildfires raging across Okanogan County and the northern part of the state. 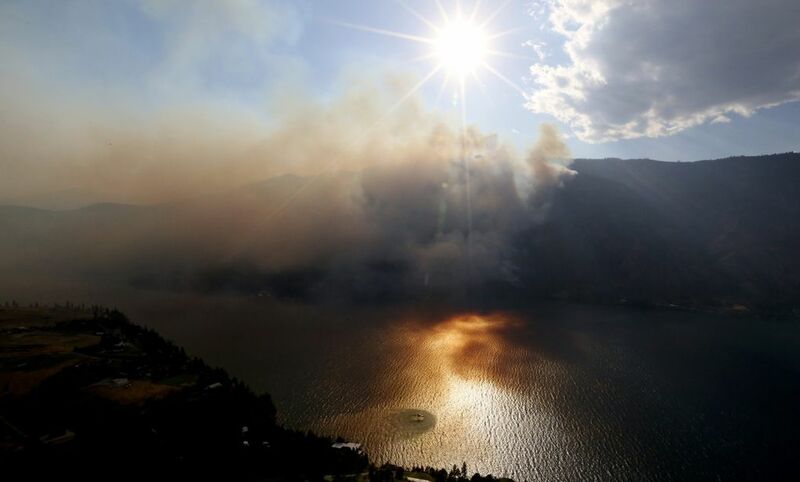 By Saturday, the Okanogan complex — which had exploded the day before, thanks to hot weather and wind gusts that reached 60 mph — grew to about 227,000 acres. 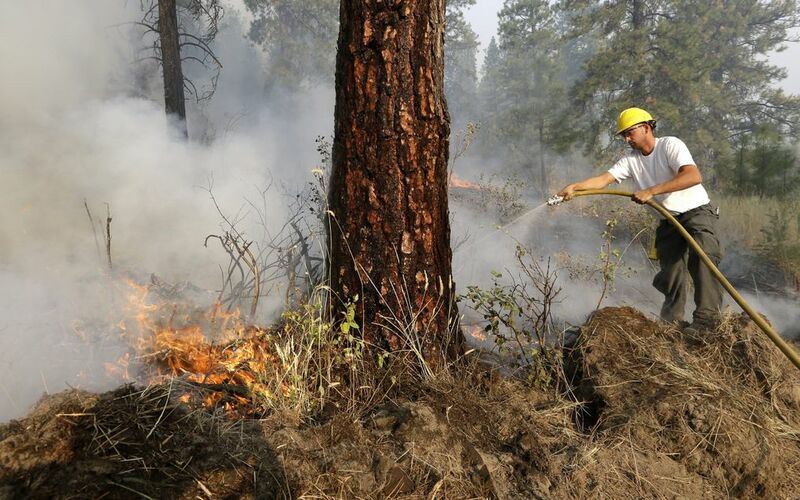 That’s nearly half of the land burning statewide. 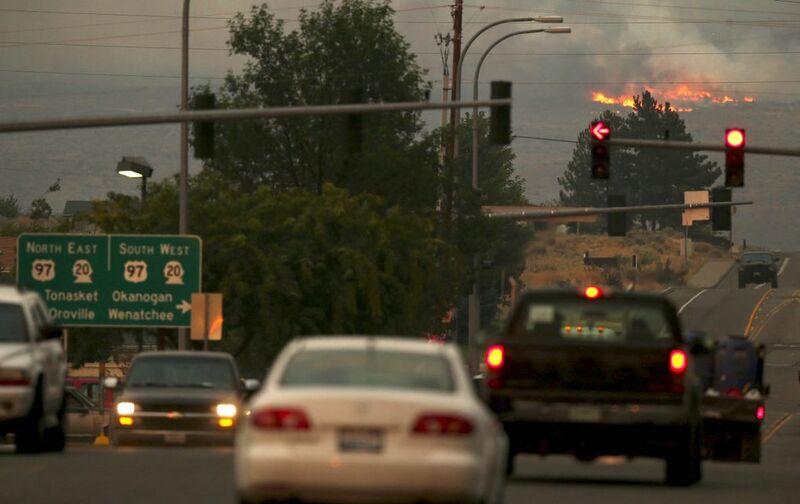 But The Associated Press reported that the flames were moving away from the population centers in Okanogan County. 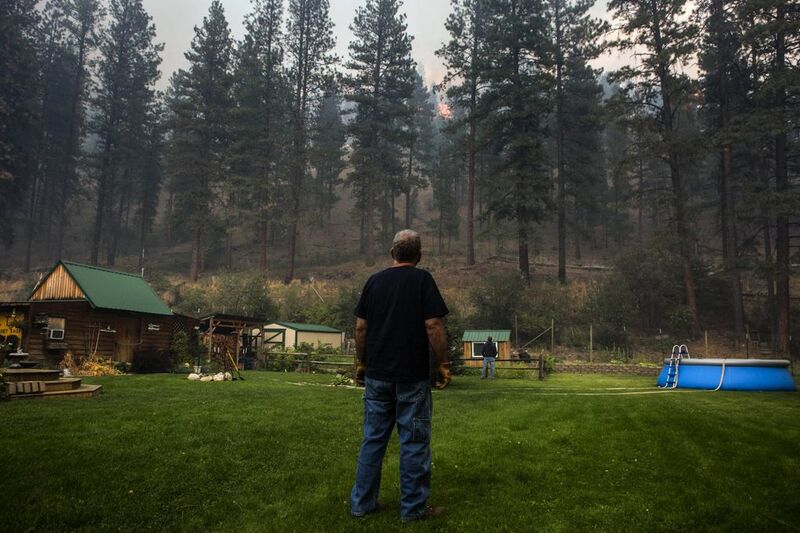 The Okanogan complex fires were about 38 percent contained as of Saturday, officials said. 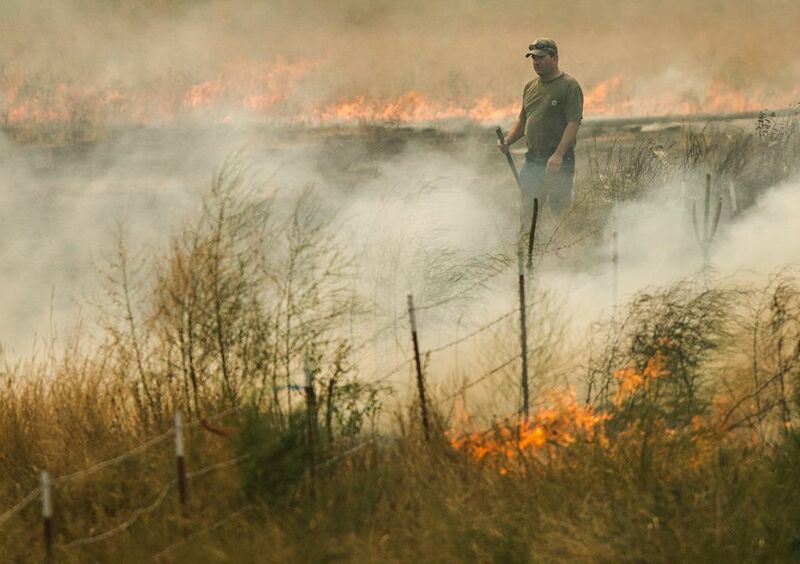 Though more than 5,100 homes remain threatened, no new evacuations were ordered. 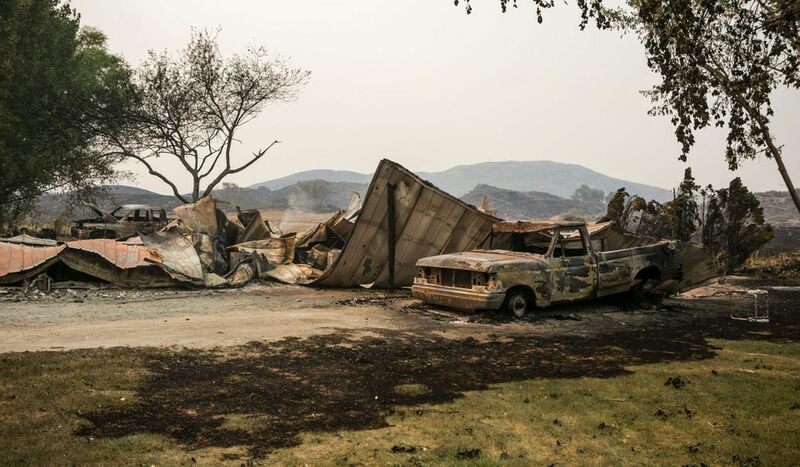 Okanogan County Sheriff Frank Rogers said it was too early to say how many homes had burned in the county. 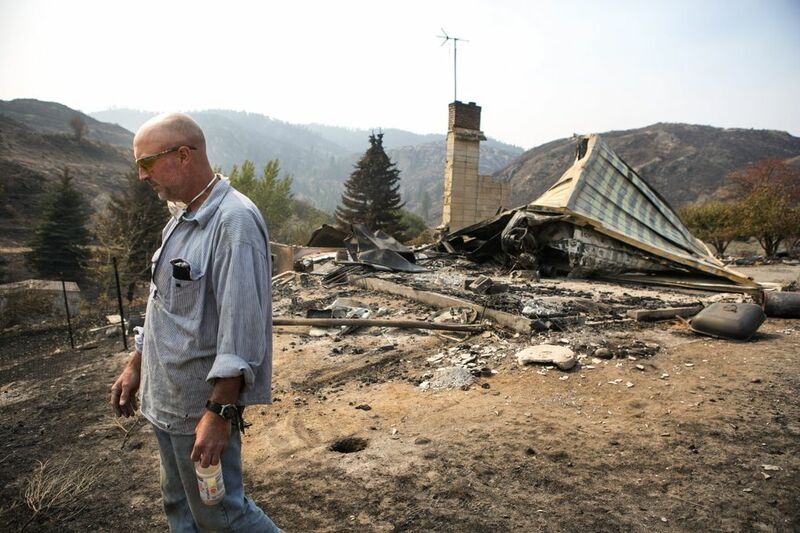 The official tally of three homes and 33 other structures lost was preliminary, he said. 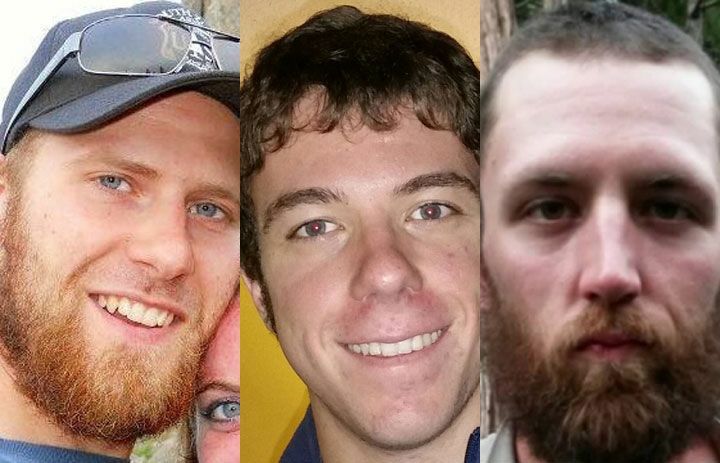 Three firefighters were killed Wednesday and four others injured fighting blazes near Twisp. An untold number of homes and businesses have been destroyed and hundreds of residents displaced statewide. On Friday night, a second of the four firefighters injured Wednesday was admitted to Harborview Medical Center in Seattle for treatment of burns. Harborview spokeswoman Susan Gregg said Saturday that the 47-year-old Okanogan County resident is in satisfactory condition. He works for the Department of Natural Resources, agency spokesman Bob Redling said. He was initially treated and released from a hospital in Okanogan, and then asked to go to Harborview, Redling said. His name was not released. Daniel Lyon, 25, remains in critical condition in intensive care at Harborview, with burns over 60 percent of his body. 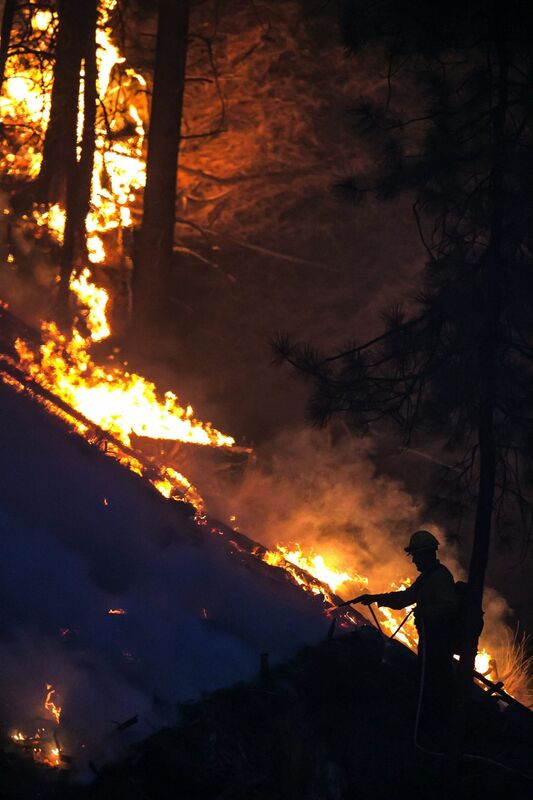 Officials have said the injured firefighters were trying to escape the flames on foot near Twisp on Wednesday. By the weekend, smoke from the fires had drifted across the mountains into the lowlands of Western Washington, causing air-quality concerns. 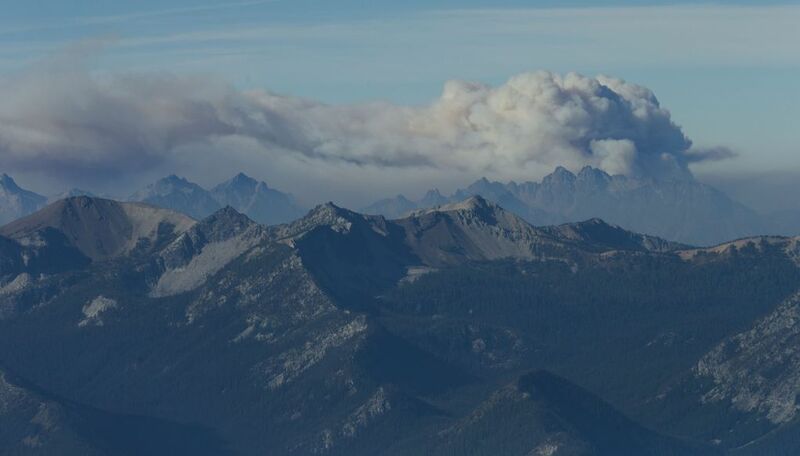 A National Weather Service bulletin said the valleys of the North Cascades and the area south of Centralia were most affected. 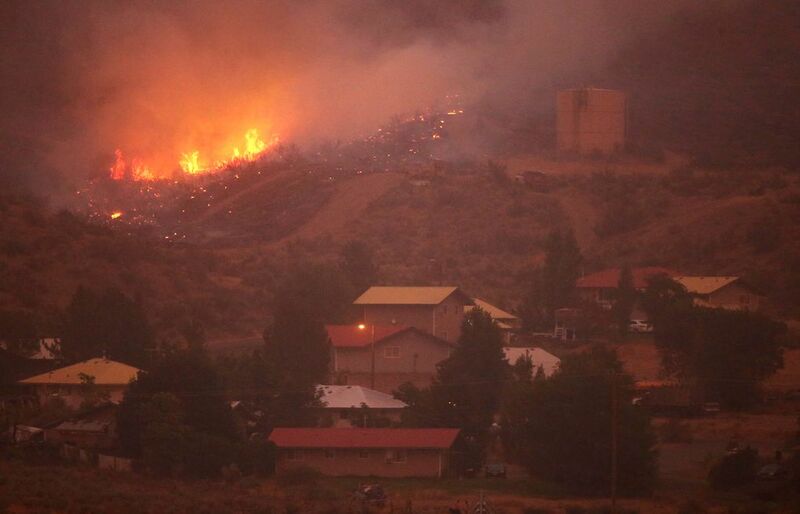 The worst air quality remained in Eastern Washington, with unhealthy levels of smoke in areas including Wenatchee, Ellensburg and Yakima, according to the state Department of Ecology. 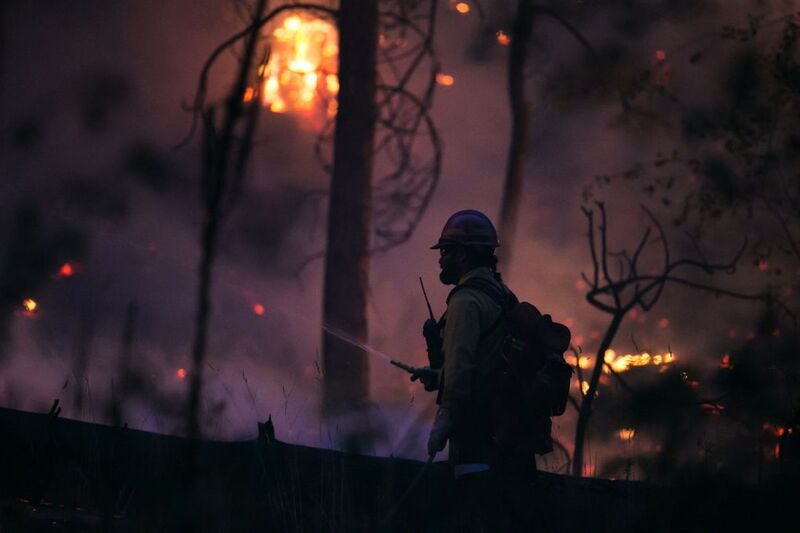 This fire season has been the worst in the state’s recorded history, and the winds made for a historically bad week. One minute, crew members might have been a safe distance from a fire, and the next at risk as winds shifted and drove flames toward them. When helicopters could safely fly, buckets of water were sometimes dumped or were blown off target from hot spots. And sometimes, the conditions were so bad that the helicopters couldn’t fly at all. All through last week, weather was a key variable in the tactics used by firefighters. 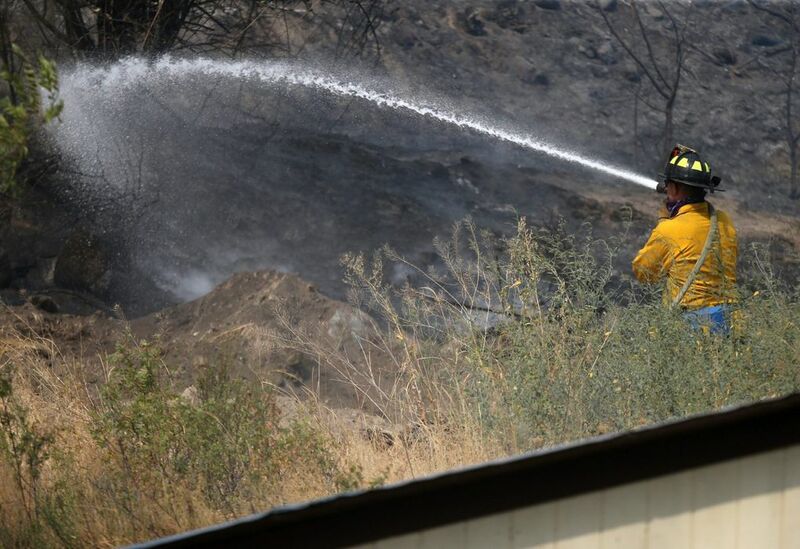 Fierce gusts put firefighters on the defensive on Friday, according to Pechota, the fire-incident commander. Crews were stationed around homes and were working with heavy equipment to create fire lines that could keep the flames at bay. 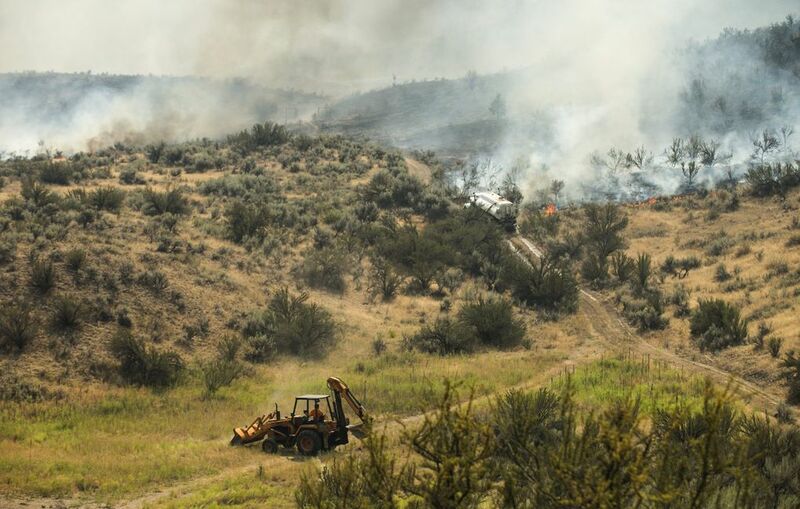 In one instance, where a spot fire started, heavy-equipment crews were able to jump on dozers and put out the burn, according to Pechota. Saturday was better. 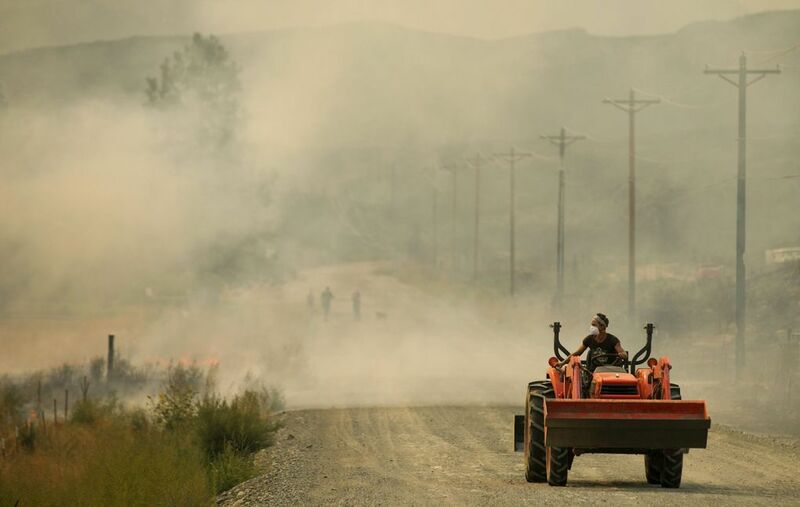 As the winds died down, crews jumped on the offensive to dig fire lines to contain more of the fires. 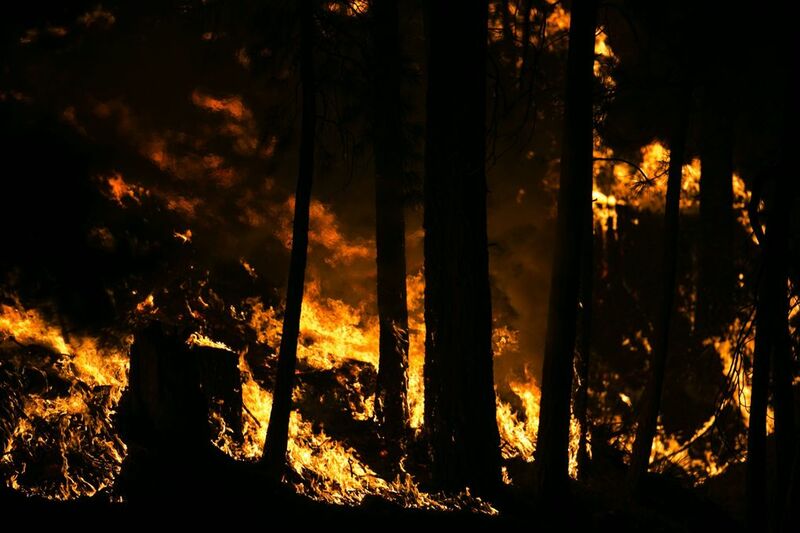 Related video: "There was no response"
Rich Stratton, a fire analyst with the Forest Service based in Portland, said he has been working to develop forecasts that anticipate fire behavior two to three days into the future. The goal is to figure out which road corridors, infrastructure and communities are most likely to be affected so that managers can focus crews that are in scarce supply. 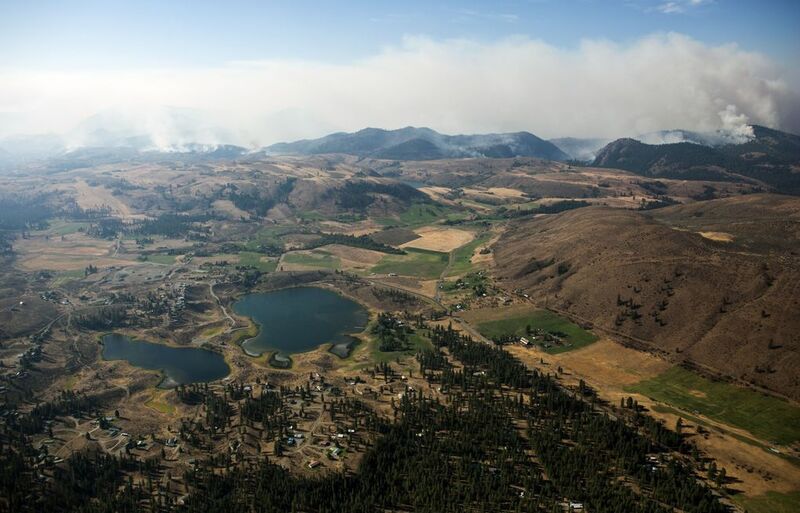 By Saturday morning, the Chelan complex fire had grown by about 3,000 acres, fire-information officer Wayne Patterson said. It also now includes the Black Creek and McFarland fires. 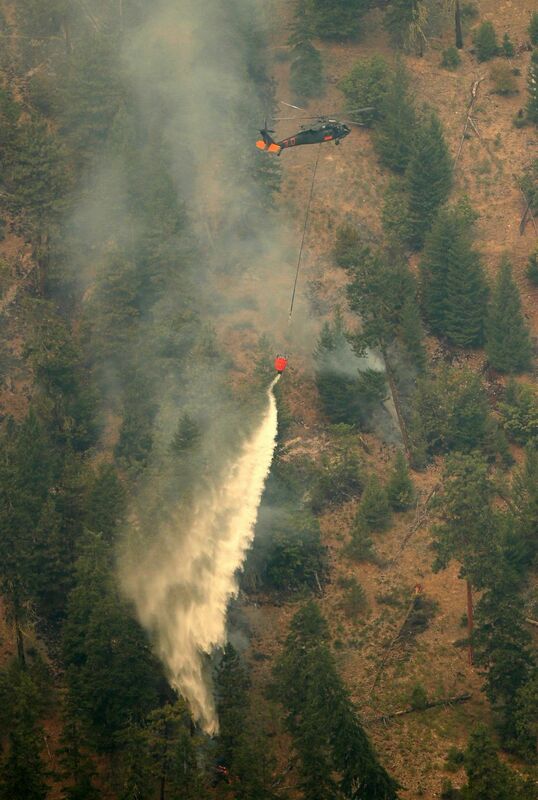 The challenge in the Chelan area is the First Creek fire, burning about 10 miles northwest of Chelan. Patterson said crews are trying to protect homes along the lakeshore as the fire heads north. 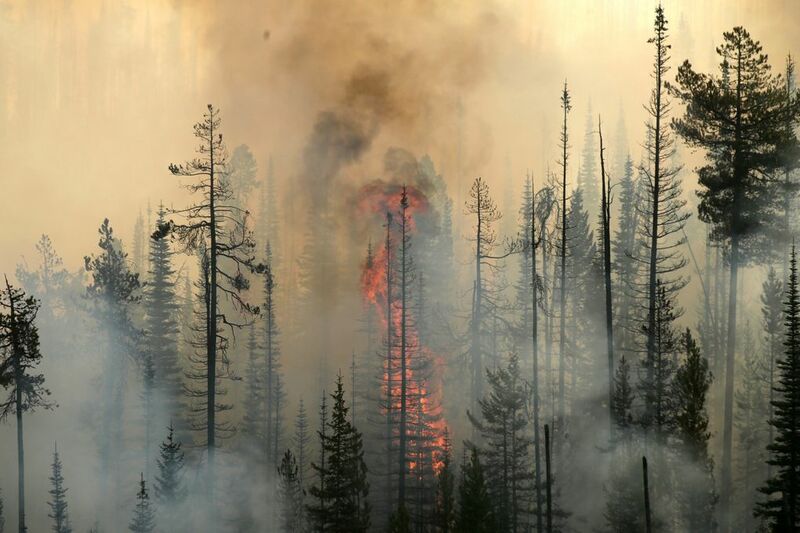 The nearby Wolverine fire ran about three miles south into the Entiat River drainage near Larch Lake. After better mapping it was also reduced and is about 45,929 acres. With the winds switching to the southeast, Patterson said he hopes the Wolverine fire will not spread as fast the rest of the weekend. The weather on Sunday is supposed to be warmer and drier, with winds 7 to 9 mph in the Chelan area, Patterson said. 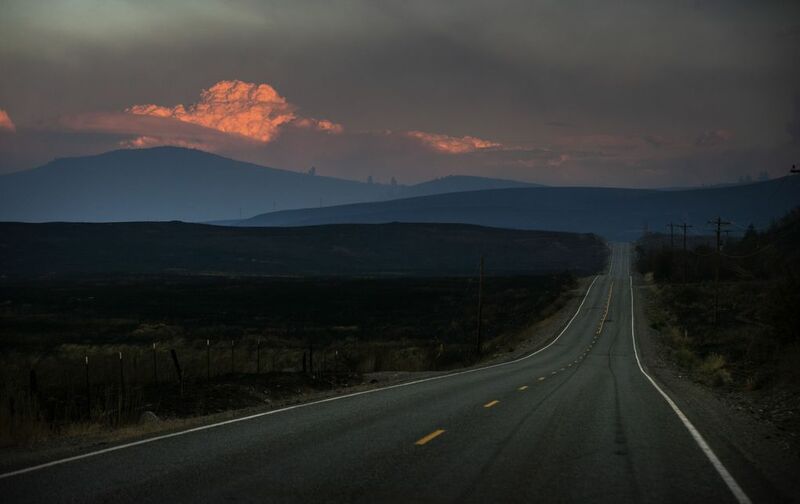 The North Star fire on the Colville Indian Reservation, meanwhile, grew by 18,000 acres since Friday afternoon, to 126,522 acres Saturday afternoon. 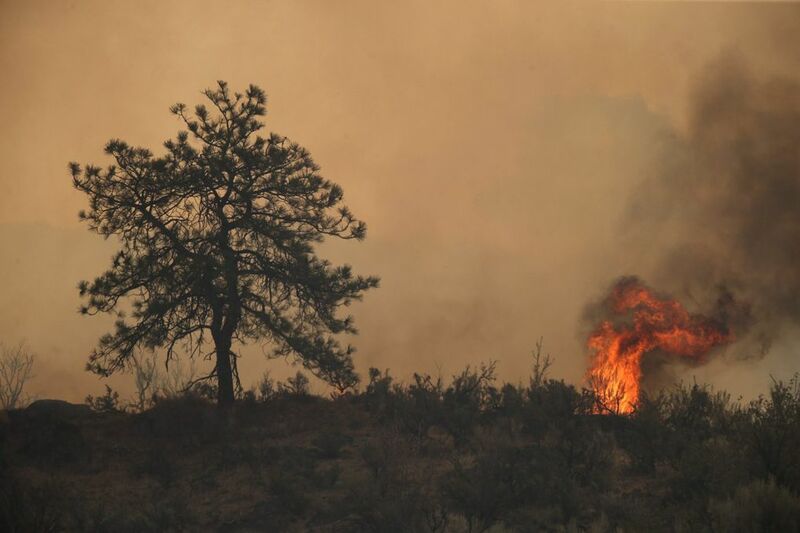 Evacuation orders were in effect for the Aeneas Valley and the area northeast of Nespelem, according to fire-information officer Donnie Davis. 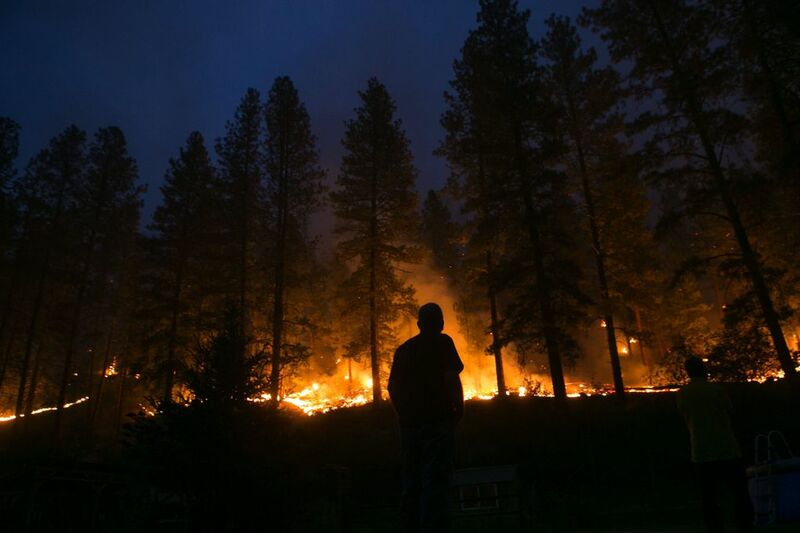 No structures have been lost, but more than 2,000 are threatened, Davis said. More than 300 firefighters have been dispatched to the area. 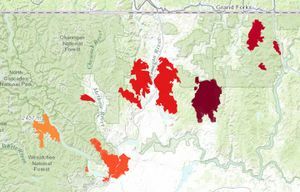 Between the North Star fire and the Canadian border, the 54,873-acre Kettle complex fire is burning about 15 miles northeast of Republic, and residents there were warned Saturday that they might have to evacuate. 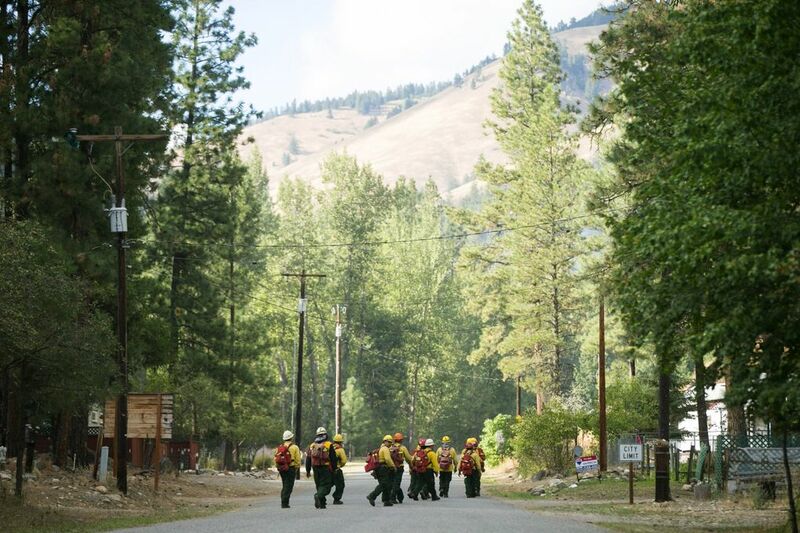 Canadian crews will arrive Sunday to work with existing crews at the northern perimeter of the Stickpin fire within the complex. Crews are working to construct a line to keep the fire from progressing toward Grand Forks and Christina Lake, British Columbia. 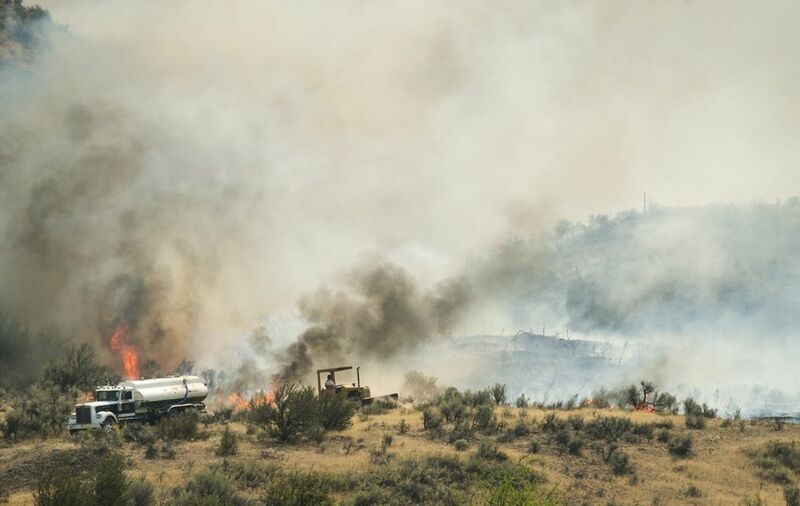 The Renner Lake fire within the complex grew to the south and east Friday, and heavy air tankers from Moses Lake dropped three loads of fire retardant along Matsen Road to help slow the spread of the fire. Two structures were destroyed, but it is unknown whether they were outbuildings or homes. 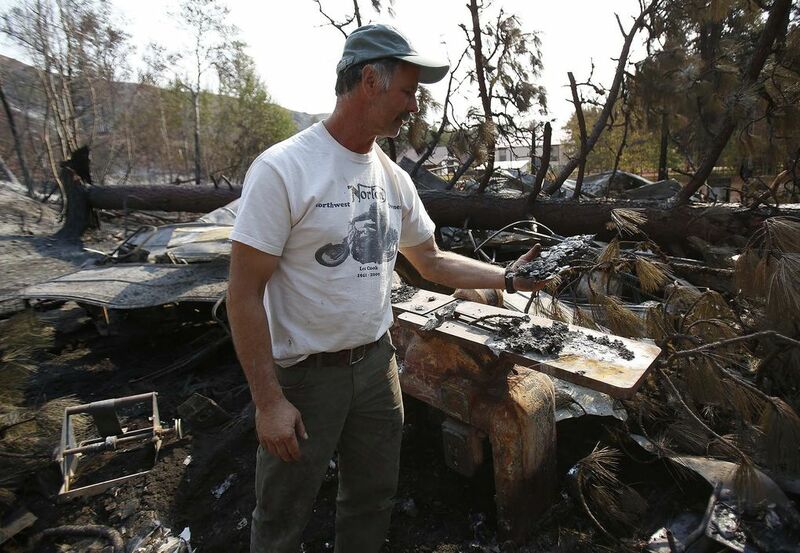 By Saturday some families were surveying what was lost and what was saved. Hilton said his mother, in her 80s, is now staying in Western Washington. 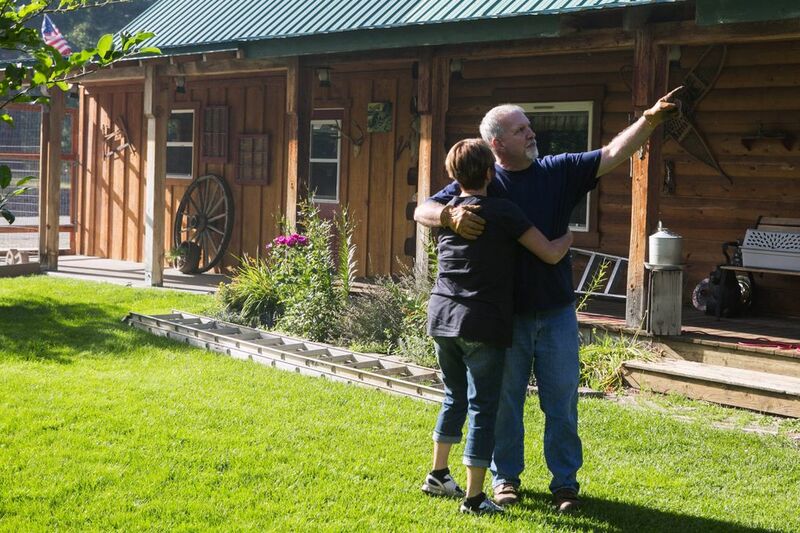 He and his wife are staying with a friends outside of Omak. 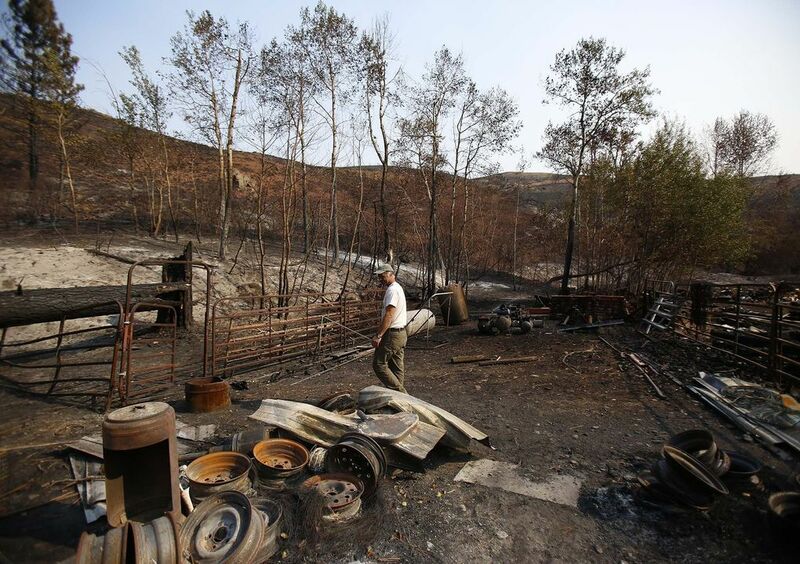 Hilton built fire lines and did not evacuate until flames forced him off the property. He said he was dismayed by the performance of fire crews. In the two days before Thursday, he said the burn could readily have been put out. But firefighters driving back and forth in pickups on a nearby road did not bring in heavy equipment to tackle that task. 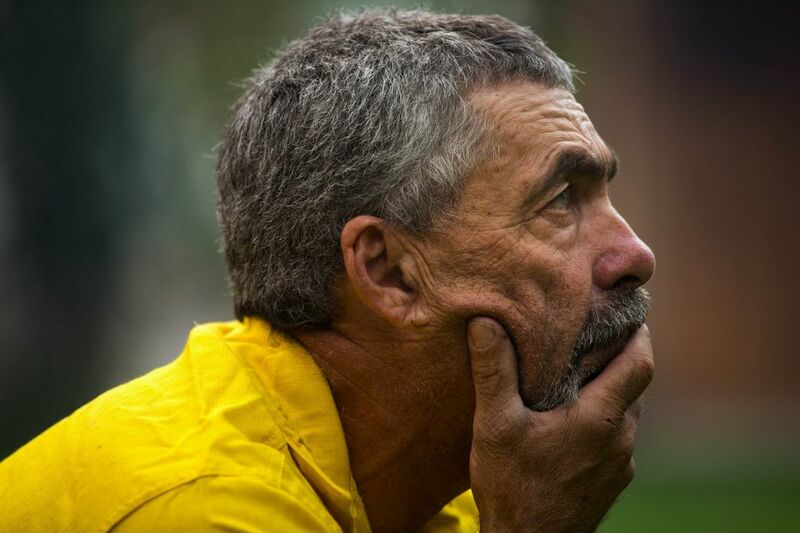 The day the flames struck his property, there were firetrucks about a mile away, but none was used to protect his property. 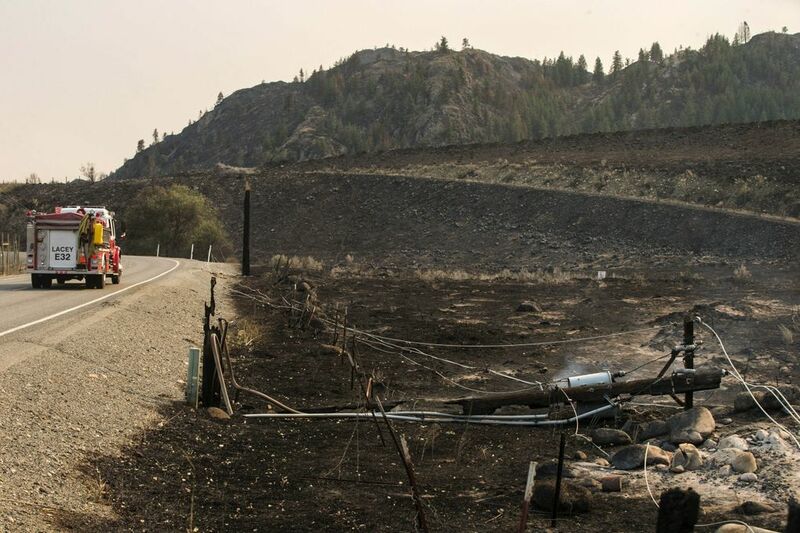 But Debbie Spaet, who lives along Highway 20 southwest of Okanogan, credits a local volunteer team with protecting her house after she had to evacuate earlier in the week as fire came racing over a hill on the other side of the road. 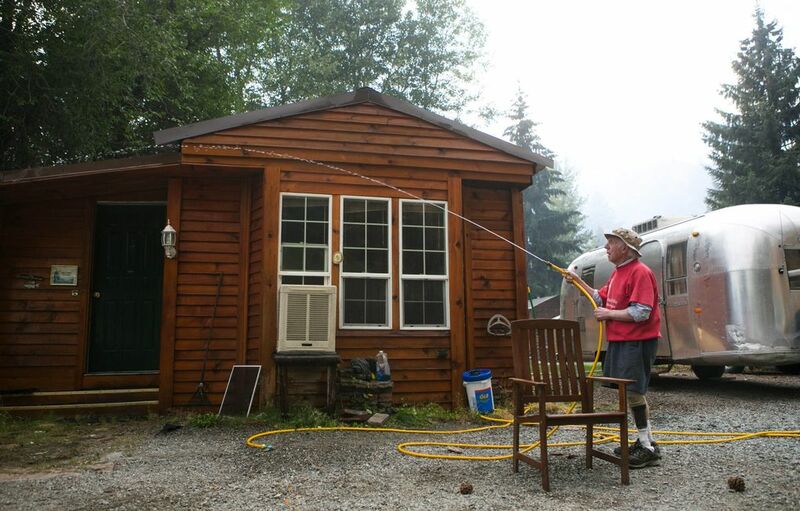 This was the third time in five years she had evacuated her home. “I am so grateful to the people who fight these fires,” said Spaet, who returned to find her house intact and her dog, Pinot, who fled during the fire, waiting out front.